As we spend one-third of our lives sleeping, why not make it the most memorable one? Experience the soft haven of warmth that is essentially required for a good night`s sleep all the while keeping the modesty of your sumptuous duvet. 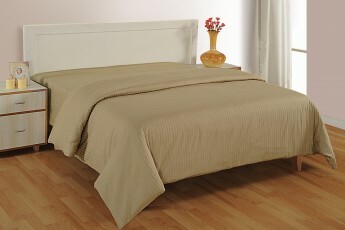 Give a layer of protection with cotton duvet covers that will life your interiors in the most fantastic way. Highlighted with versatile stripes these satin stripe duvet covers have intrinsic design and gorgeous texture that will change your perspective towards your home. Beautifully warm they are apt to snuggle into, on a cold night. For tasteful hand of better home interiors buy high thread count duvet covers online as they can emancipate an alluring appeal that is going to transcend the momentum of stylish bedrooms. 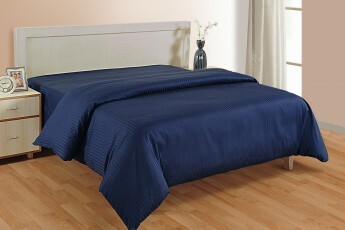 These highly ergonomic satin stripe duvet covers are manufactured with 100% cotton. 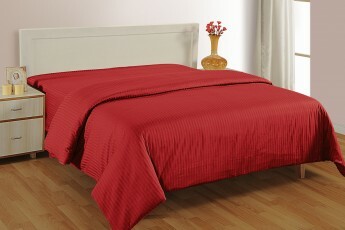 Their classy appeal will give your abode a touch of royalty. They can withstand the test of times with their durability. 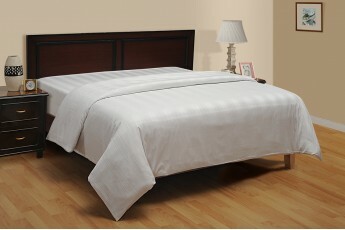 They are made hypo-allergic and prevent the accumulation of dust mites. With extremely soft to touch and look at, they are warm and super-soft.